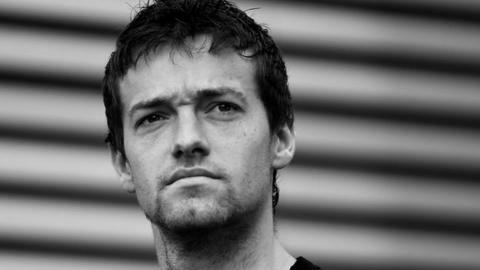 Former F1 driver Jolyon Palmer, who left Renault during the 2017 season, has joined the BBC team to offer insight and analysis from the point of view of the competitors. Nobody likes team orders in Formula 1. We all want to see the best driver on the day, the one who deserves it, take the win. That is even more the case when a team order helps out the championship leader and makes the final five races less interesting to watch, at the expense of a driver who has yet to take a victory in 2018. That's exactly what happened in Sunday's Russian Grand Prix. Mercedes' decision to impose team orders leaves Lewis Hamilton with a 50-point advantage over rival Sebastian Vettel, after Hamilton's team-mate Valtteri Bottas let him through to win. It was a controversial moment for Mercedes, and Bottas was heard questioning it on the radio afterwards, but it's a move I fully understand in the context of trying to win this year's drivers' title. As much as it was a shame for Bottas, and for the race, it was the obvious thing to do. Bottas clearly deserved the win, or at least a fair crack at it. He took an excellent pole, made a superb start and led on merit through the pit stops, and was controlling the pace after that. An outcry - but why? In any normal situation, that would have been that and Bottas would have won the race. After Mercedes decided to order him to let Hamilton through, there was a considerable outcry. Many fans were clearly not amused that Mercedes had 'rigged' the race, as they saw it, to let Hamilton win. Some were comparing it to incidents from the past that led to huge criticism of the parties involved. People brought up the notorious incident in Austria in 2002, when Rubens Barrichello responded to an order to let Michael Schumacher through to win on the last lap. But in my view, Russia 2018 was nothing like that, and the actions of team boss Toto Wolff and Mercedes were fully justified. Had Hamilton finished second, he would have had a 43-point lead over Vettel rather than 50. Forty-three points seems a lot. It sounds like a big number. But there are 25 points for a win these days. So it that could be slashed back down in just a couple of races. If Hamilton was to have a retirement for whatever reason in Japan this weekend and Vettel was to win, then the margin at the top would have been 18 points, and the fight would be right back on. Twenty-five points is a much more comfortable cushion, both psychologically and mathematically. Mercedes' reliability this year has not been bulletproof. Look back at Austria, where they had a double retirement, or Germany, where Hamilton retired from qualifying with a hydraulic failure. And while it seemed Ferrari weren't close on pace to Mercedes in Sochi, at least in qualifying, it was only two races ago in Monza that Ferrari had the fastest car and locked out a one-two on the grid. At the race before that in Belgium, Vettel won and Hamilton had no answer to the pace of the Ferrari. I can understand the frustration of the fans. So why do I think Mercedes did the right thing on Sunday and Ferrari the wrong thing back in Austria in 2002? The difference between the two races is that Austria was completely unnecessary - and badly handled. For a start, Barrichello led until the final straight, and then slowed on the approach to the line. It looked bad, and was a horrible way to end the race. The crowd booed the drivers on the podium and everybody involved was embarrassed - Schumacher even pulled Barrichello up on to the top step of the podium, and stood on the second step himself. But even more importantly, it was completely unnecessary. Austria was only the sixth grand prix of a 17-race season. Schumacher had already won four of the previous five and had double the points of his nearest rival, Williams driver Juan Pablo Montoya. And Ferrari had taken five out of six pole positions, and clearly had the fastest car. Out of the 11 races after Austria, Schumacher was either first or second in every single one. He scored nearly triple the number of points of third-place man Montoya in the championship and almost double Barrichello's. Team orders in that instance were ludicrous. Another incident that caused huge controversy was at the 2010 German Grand Prix, when Ferrari used team orders to give Fernando Alonso a win over Felipe Massa. That was a different case. For Ferrari, it was imperative that Alonso won that race. He was their only title contender and he had a lot of ground to make up on the leaders at that point in the season. The decision would have won him the title later that year had the team not messed up their strategy at the final race. On that basis, Hockenheim 2010 was much more understandable than Austria 2002. The difference in that case was that, in 2010, team orders were banned. That's why Massa received the famously coded team radio message: "Fernando is faster than you." And that's why there was outrage, and Ferrari received a $100,000 fine. Fortunately for them, the result stood and everyone could understand the reasons for doing it. Team orders have been part of F1 for as long as it has existed as a sport, and they come in many forms. Another example was Malaysia in 2013, and Red Bull's famous "Multi 21" incident - a reference to the coded message the team gave their drivers effectively calling off the race and meaning Mark Webber would beat Sebastian Vettel. This is fairly common practice for teams who have drivers in the two leading positions heading into the final stages of a race. At that point, the bosses just want the drivers to bring the car home and hold position, guaranteeing the team a perfect result. Think back to Damon Hill's win for Jordan in the epic 1998 Belgium Grand Prix, or Fernando Alonso and Hamilton for McLaren in Monaco 2007, or even Hamilton and Bottas in the closing stages of this year's German Grand Prix. To some, this is more understandable, or acceptable. Don't be fooled, though. This is a team order that can define a race in just the same way as Mercedes did on Sunday. It effectively declares the result, and can potentially mean that the faster driver on the day does not win. That was highlighted precisely in Malaysia 2013, as Vettel defied Red Bull's team orders. He passed Webber on track in an exquisite bit of driving by both drivers, running side-by-side through a number of corners. It brought what would have been a processional last 13 laps of the Grand Prix into a thrilling conclusion and gave the fans exactly what they wanted. A wheel-to-wheel fight for the win. And yet Vettel was vilified for it. I would bet that many of the same people who were so critical of Vettel in that race for ignoring team orders would have been willing Bottas to do exactly the same in Sochi on Sunday. In 2013, Red Bull's team orders were seen as acceptable and yet in 2018 Mercedes, with the title on the line, are hated by many for it. The reality of F1 is that it is a team sport. The constructors' championship might define the prize money the teams receive, but the drivers' championship matters hugely to them as well. It is what fundamentally motivates the stars of the sport - drivers aren't bothered by a constructors' championship; they are racing for themselves, to win titles. The reality is that Bottas can't be champion this year and Hamilton can. And that's why Sunday unfolded the way it did. Drivers only really end up with 'number two' status when they can no longer realistically fight for the title and their team-mate can. Ultimately, Bottas is in this situation because, while he was very strong in Russia, he has been too far off Hamilton over the summer races and has dropped more than 100 points behind. His predecessor Nico Rosberg never had a team orders debacle with Lewis Hamilton because he was generally able to maintain the fight with his team-mate over the course of the year. And on the occasion he dropped away, in 2015, Ferrari weren't in a strong position to mount any sort of proper challenge like they are this year. That's what Bottas has to aim for next year, when he will start from scratch and have another fair crack at it. Hamilton is the star in the team. Winning a fifth championship keeps him motivated, hungry for more and increases his value to sponsors and partners of the team as well, thus generating more revenue. In years to come, nobody will care too much about who won the 2018 constructors' championship. They will only look at who won the drivers' championship. And that is why Mercedes were right to do what they did. Hamilton, as a result of having three more wins than Vettel, has a two-race cushion in the championship. From now on Mercedes should feel more confident, and may well let Bottas take the win he has deserved should that opportunity arise again.